Uglyworld #869 - Sleepy Hollows (323-365), originally uploaded by www.bazpics.com. When Icy heard I was heading to Cornelius Pass Roadhouse for dinner tonight he asked if he could tag along and check the place out for himself. 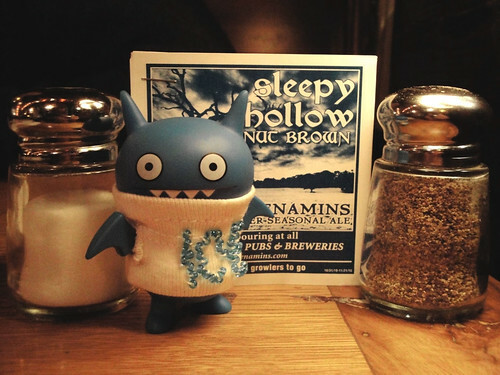 It turns out Babo had noticed somewhere on the internet that the McMenamins Brothers had a seasonal Ale on tap called Sleepy Hollow and he thought it would be right up Ice-Bat's wing...how right Babo was!